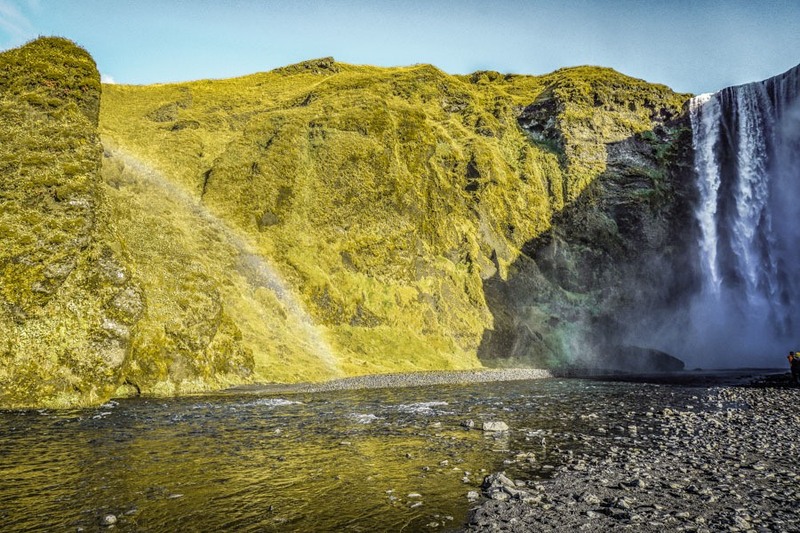 18 Iceland Waterfalls You Need to See – The Discoveries Of. Iceland’s waterfalls are an incredible sight to behold. No trip to the country is complete without chasing a waterfall or two! 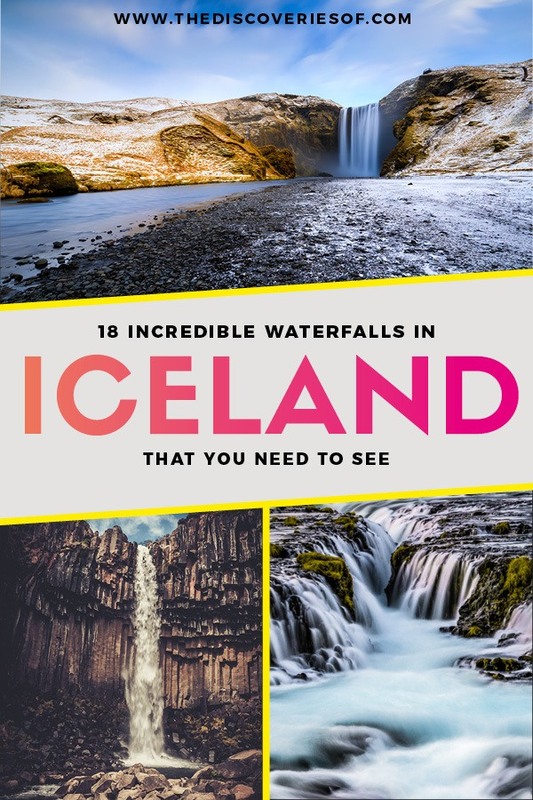 Don’t miss this guide to the country’s best waterfalls – complete with a handy Iceland waterfalls map. Iceland, you are a total stunner. Of all the countries I’ve visited, Iceland has to be up there as one of the best when it comes to natural attractions. I’ve been to Iceland twice this year and both times have completely blown me away. Otherworldly landscapes, the Northern Lights, black sand beaches – it’s a roll call of natural wonders. If there’s one thing that Iceland does particularly well, it’s waterfalls. 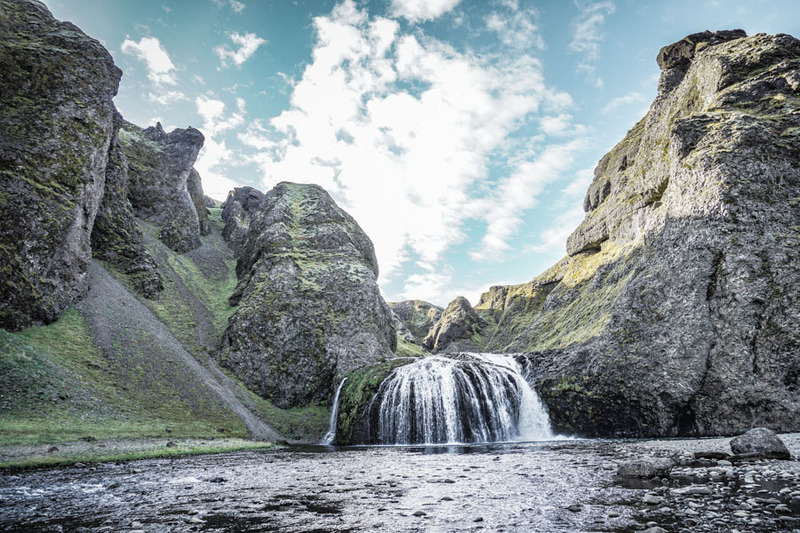 Big, small, tall and skinny, short and stout, Iceland is the land of waterfalls. 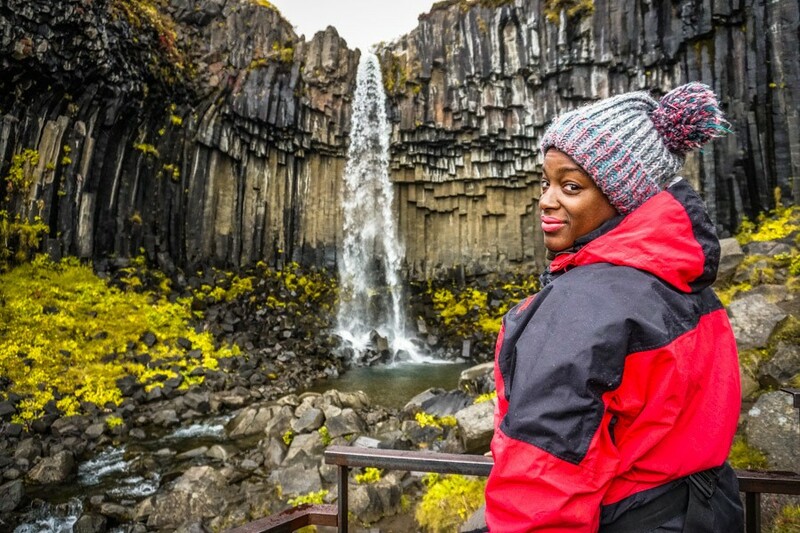 Awesome as chasing waterfalls in Iceland is, the country has over 10,000 of the things. 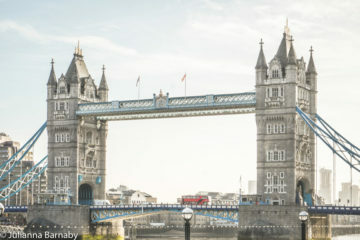 It’s mayyyybe a bit ambitious to visit them all in one trip. I’ve narrowed it down to 18 spectacular Iceland waterfalls. Much more manageable right? No time to read now? 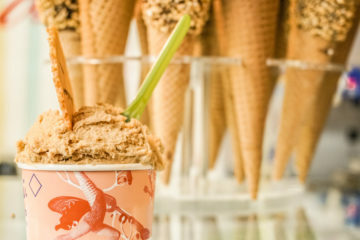 Save this article to read later on Pinterest. Follow my Iceland travel board for lots more Icelandic travel inspiration. Here’s a map of the best waterfalls in Iceland. Visiting Iceland? Don’t miss these handy guides and tips! Gullfoss is without a doubt the most famous waterfall in Iceland and one of biggest tourist attractions in the Golden Circle. 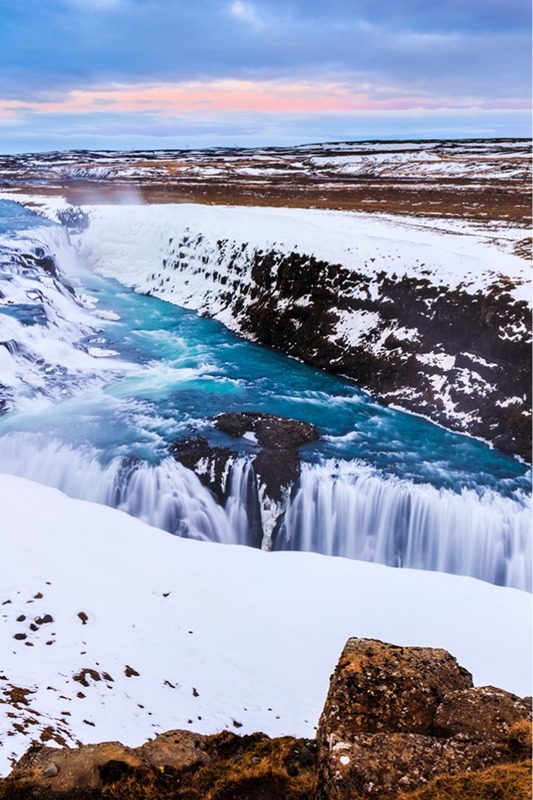 Flowing from the glacial river Hvítá, Gullfoss is nowhere near the tallest waterfall in Iceland, but it’s certainly one of its most impressive. The name Gullfoss translates as Golden Falls – thanks to the golden hue of the waterfall on sunny days as the light hits the minerals in the water. 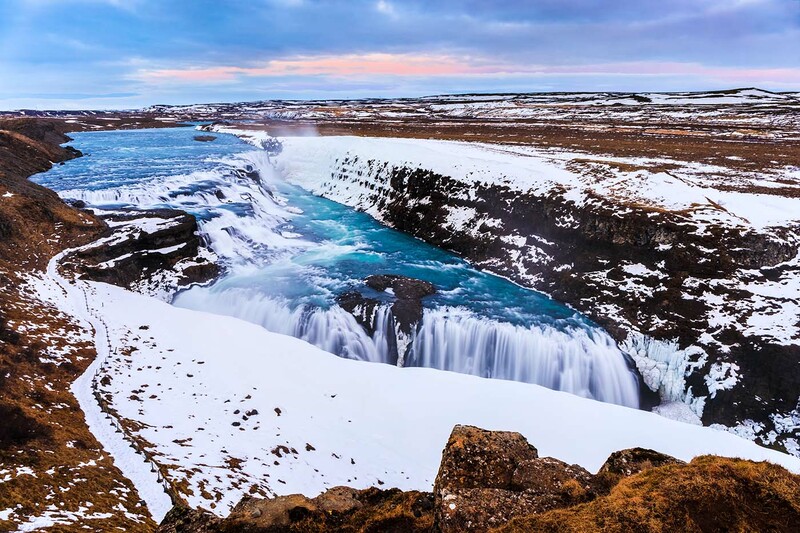 The waterfall crashes down in two stages through a narrow gully – it’s impossible to get anywhere near and not be blown away by Gullfoss’ sheer power. Thundering and fast-flowing, it’s noisy, enthralling and guaranteed to be one of the highlights of your trip. Sure there are a tonne of tourists and the pathways get pretty hectic, but really, you won’t care. Another one in the top 5 waterfalls in Iceland list, Seljalandsfoss is a must-see stop on any visit to the south coast of the country. It’s easily one of the most famous waterfalls in South Iceland. But what’s so special? 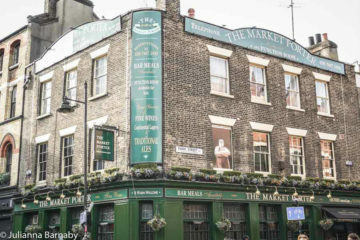 The setting for one. 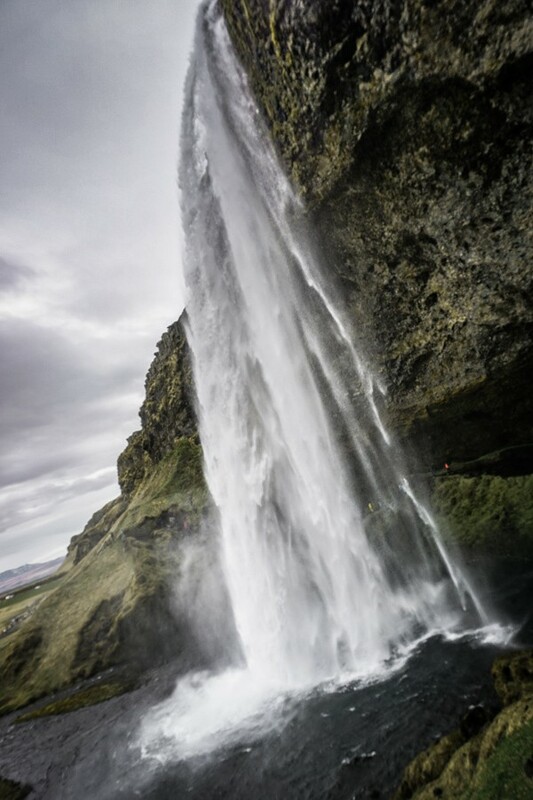 The 60 meter tall Seljalandsfoss drops from the top of an old sea cliff in front of a natural amphitheatre. This unique position means that (as long as the conditions are OK) you can actually walk behind the waterfall itself, which is a really cool experience. There’s nothing quite like hearing the thunder (and feeling the spray) of a waterfall from up close. Where else can you get complete 360-degree views of a waterfall? Make sure you bring a waterproof jacket though, you will get wet! Beware, the path is often closed during the winter months as it can be a bit precarious. Even in the summer I’d recommend making sure you’re wearing sturdy footwear to do it. Just a few minutes walk from Seljalandsfoss, Gljúfrabúi is a secret waterfall in Iceland and one of my favourite hidden gems. In fact – that’s what the name means Gljúfrabúi- hidden waterfall”. OK, maybe a badly kept secret – when I visited there were quite a few people shimmying their way along the small stream that leads to the falls themselves. You’ll either need a good pair of waterproof hiking boots or some good balancing skills to hopscotch your way to the viewpoint without getting soggy feet. Even if you do get your feet wet, it’s worth it. The sight (and roar) of the spectacular waterfall plunging into the tall narrow chamber in which you stand is a memorable experience. Be prepared to get just the tiniest bit soaked from the spray. 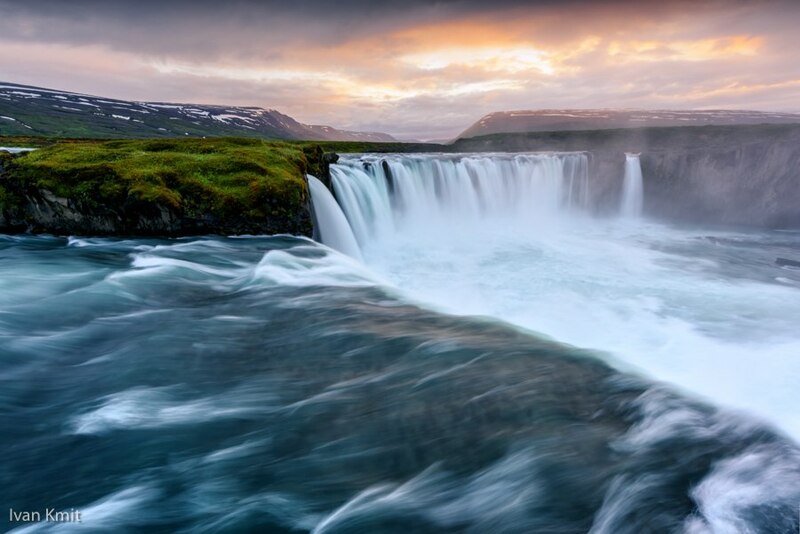 Gluggafoss are one of the best secret waterfalls in Iceland. 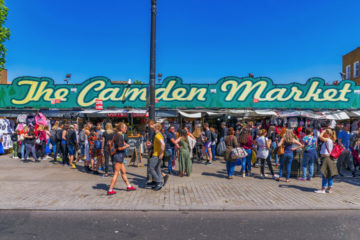 So much so that you’re almost guaranteed to have them to yourself during your visit. 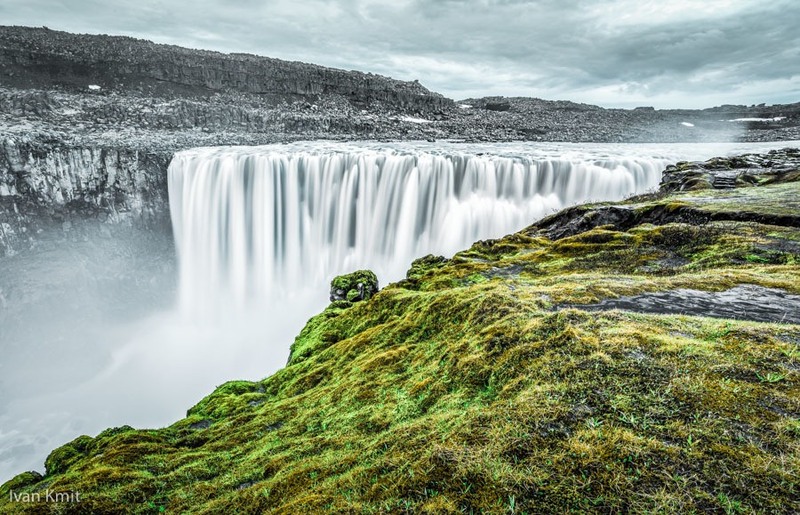 The falls are pretty unique – a series of three interconnected falls that disappear into the ground before gushing out again in small windows or “Gluggar” as they are called in Icelandic. 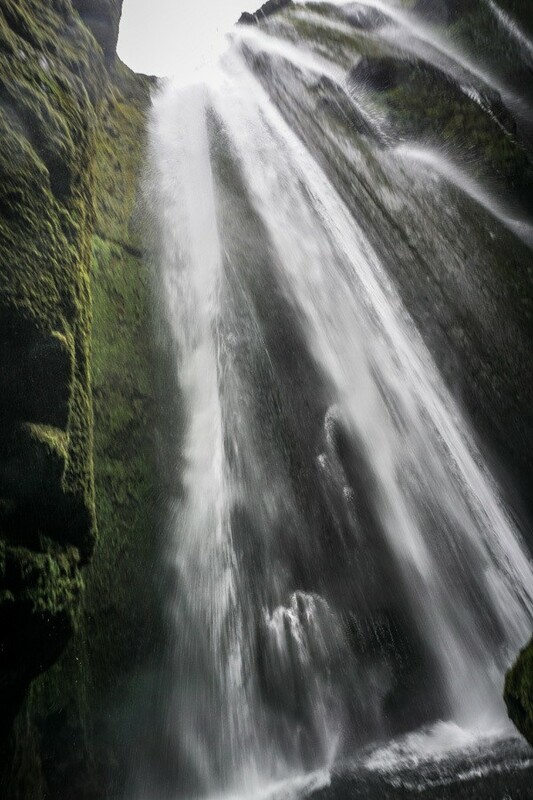 The effect is caused by the force of the water eroding the soft palagonite bedrock – so the appearance of the falls is gradually changing as they continue to erode their surroundings. Of all the famous Iceland waterfalls I visited during my time in the country, Svartifoss (black falls) was my favourite. This is my flabbergasted face. Really. Surrounded by a cluster of gleaming black basalt columns, the setting is surreal, the effect otherworldly. You can’t get underneath the waterfall itself, but even from the viewing platforms, the sight is something special. Like the Reynisdrangar sea stacks, the basalt columns are formed from lava spewed out from volcanic eruptions. As the lava cooled, it formed the black pillars we see today, a process known as columnar jointing. Whatever the reason, this is one of Iceland’s weirdest but most wonderful waterfalls. Svartifoss is located in the Vatnajokull National Park. You’ll need to hike to the falls, but it’s not a tough hike. There are several different routes, with the quickest taking around 45 minutes. Urriðafoss (Urridafoss) was actually one of my personal favourite cool waterfalls in Iceland. Not only is this waterfall one of the country’s biggest waterfalls by volume, it’s not very well-known. Even though it’s a short detour off the Ring Road. Go figure. The falls form a part of the Þjórsá river, which is the longest river in Iceland. The river gathers water for kilometer after kilometer before tumbling down the wide falls. Two narrow waterfalls running alongside each other inspired the locals to give this the rather cute name Systrafoss – the sister falls. Cute, well, until you hear the rather eerie legend behind the falls. Folklore tells the tale of two nuns who were buried in the falls after people accused them of some rather serious bad behaviour (sleeping with men, blaspheming against the Pope and selling themselves to the Devil. The scandal). Turns out that after the Reformation the nun who’d been killed for blaspheming against the Pope wasn’t in the wrong anymore. Very sad right? But it’s OK, because although she was dead, flowers grew on her grave and people didn’t think badly of her anymore. Away from strange tales and badly behaved women. Although the Systrafoss are not that powerful, they’re often named as some of the most beautiful waterfalls in Iceland thanks to their unique appearance. Systrafoss is easy to get to – it’s a short detour to the base of the falls from the Ring Road in the south. Brúarfoss is another one of Iceland’s off-the-beaten path gems. The falls aren’t large, but no matter. It’s the near unbelievable contrast between the azure water and the surrounding volcanic rock that gives Brúarfoss its appeal. Unfortunately, the landowners who own the land you need to cross to get to the falls have recently closed all access to the public. It’s not clear whether the closure is permanent – make sure you check before you go. Dettifoss’ nickname, The Beast, tells you everything that you need to know about it. The most powerful waterfall in Iceland (and, incidentally, reputed to be the most powerful waterfall in Europe), it is one of the most striking waterfalls you’ll ever see. 100 metres wide, and over 40 metres tall, it’s fed by a glacial river that flows from the Vatnajökull glacier. 193 cubic metres of water thunders through Dettifoss every second. You heard me right, every second. Goðafoss Waterfall (Godafoss) might not be that tall (it’s only about 12 metres high), but what it lacks in stature, it makes up for in width. Located in the north of Iceland, Goðafoss is more than just a pretty picture. The waterfall makes a starring appearance in the Icelandic sagas and played a role in Iceland’s conversion to Christianity. Hence the name, which translates as “the waterfall of the Gods”. 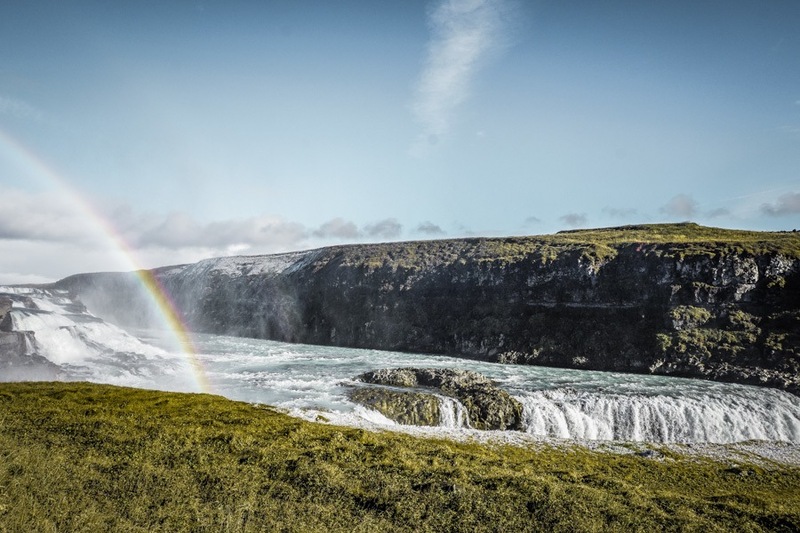 At the time, the head of the Icelandic parliament lived near Goðafoss and, on converting to Christianity, he threw his pagan idols into the waterfall and decreed that Iceland should convert to Christianity too. Pretty fitting then that it makes an appearance in our very own modern-day saga – Game of Thrones. Fans, rejoice. You know that awkward thing when you’re named because people thought you were the highest waterfall in Europe, but actually it turns out you’re not? Háifoss knows all about that. 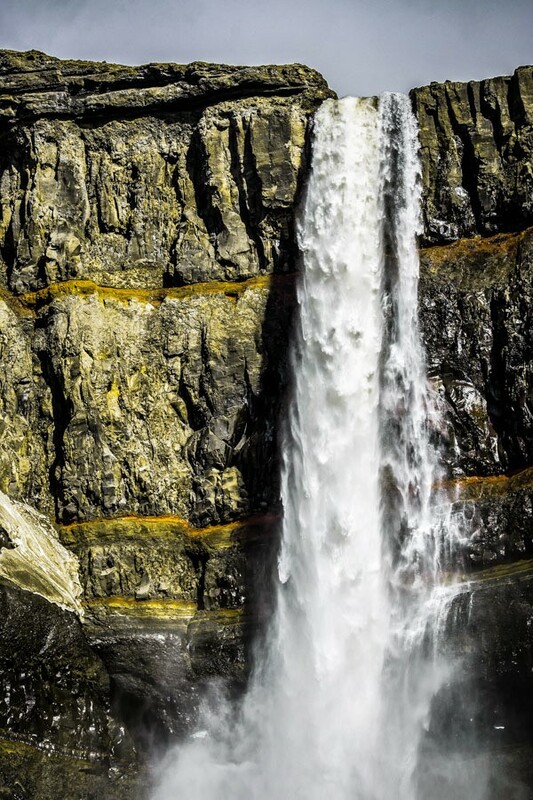 It may not be the tallest waterfall in Europe, but at 122 metres tall, Háifoss is no small fry either. Perched amidst the River Fossá, the waterfall is in close proximity to the ever-brewing Hekla volcano. You’ll need a four wheel drive to get to the waterfall itself – that or a pair of very sturdy hiking boots. Dynjandi’s rather ethereal appearance mean that people compare it to a lot of things: wedding cakes, bridal veils… None of the comparisons quite do it justice. 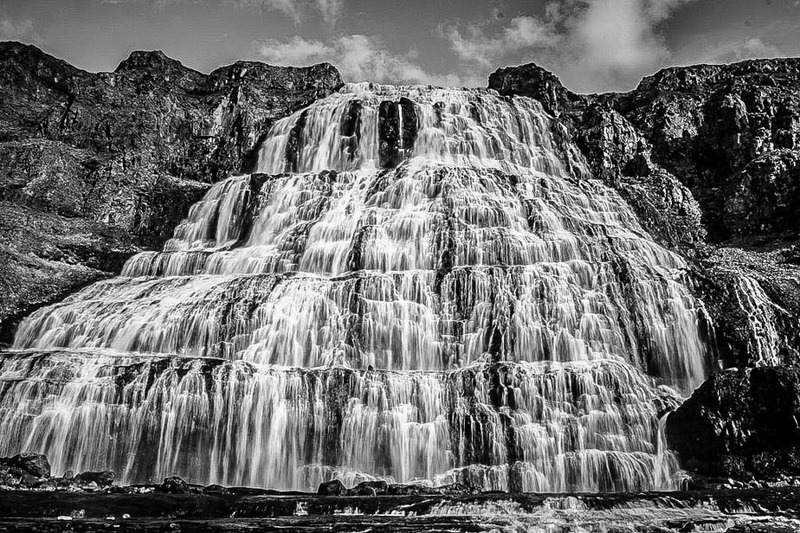 Located in the wild and untamed Westfjords, the waterfalls are over 100 metres tall and fall in a tier of smooth cascades into a hidden gorge. Like many of Iceland’s waterfalls, you need to hike to get to Dynjandi waterfall – but it’s a pretty short hike of about 15 minutes. Beware that it can get quite steep in places, but you should be fine if you are reasonably fit and mobile. 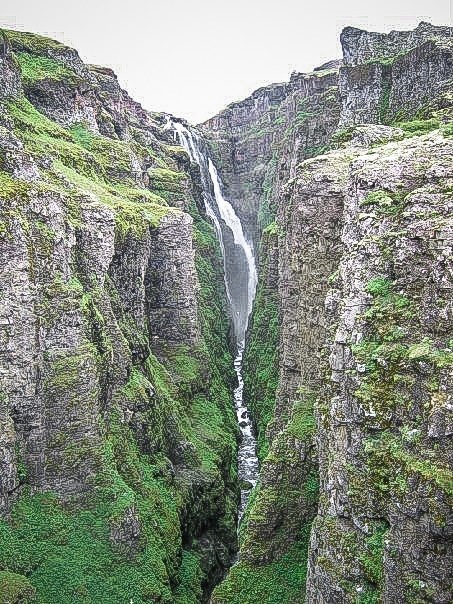 Coming in at 198 metres high, Glymur is the second tallest waterfall in Iceland. People used to think it was the tallest waterfall in Iceland, until they discovered another higher one a few years ago. Glymur is popular for a number of reasons: not least because it’s one of the most famous Iceland waterfalls that is close to Reykjavik. 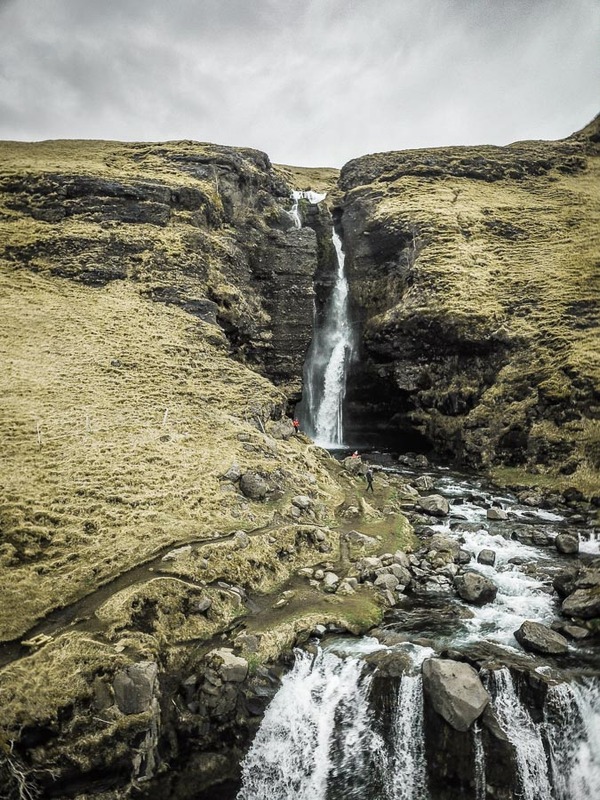 The waterfall is only a 1.5 hour drive from Reykjavik – but before you get too excited, you should know that it’s a two-hour hike to the falls from the nearest parking spot. No worries though, the hike is beautiful, winding through the Hvalfjörður valley and takes roughly two hours in each direction. Hiking boots at the ready. 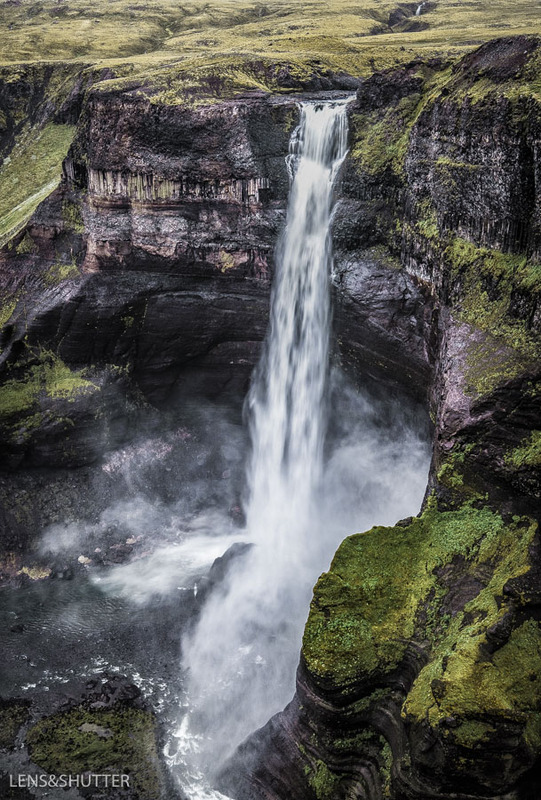 Even on an island packed with waterfalls, Hengifoss is guaranteed to make you stop and stare. The name translates as Hanging Falls, a reference to 128m drop into a large and striped rocky gorge. 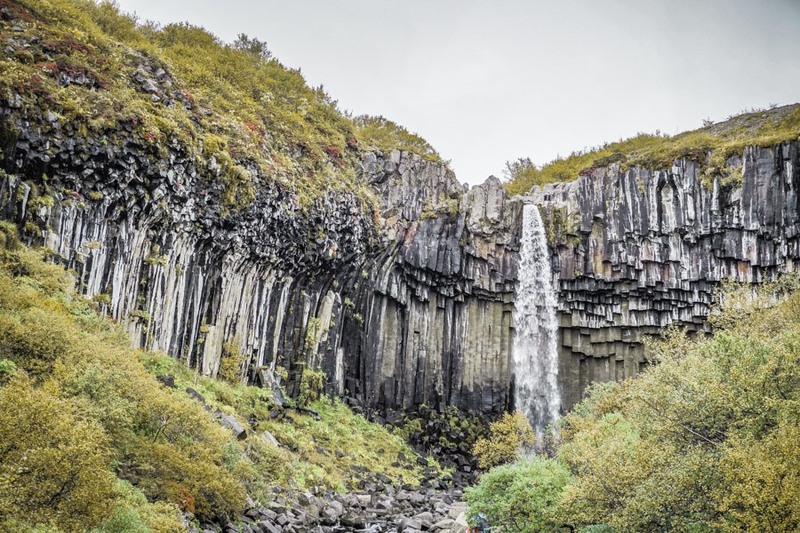 Like Svartifoss, the fall’s surroundings are a testament to millenia of geology at work. The stripes are layers of sediment sandwiched between volcanic rock. It certainly makes for a pretty picture. Beware, it’s a bit of a hike to get to Hengifoss. It takes about an hour each way and can be pretty strenous in places. Don’t despair, the views along the way and of the waterfall itself are more than worth the puff. 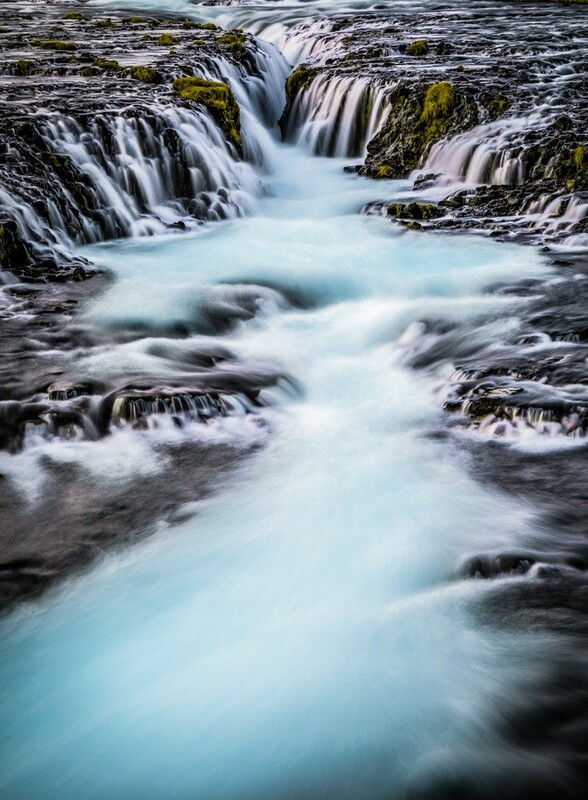 Hraunfossar is one of the best waterfalls in Iceland near Reykjavik. The name translates as “Lava Falls” thanks to the huge lava field from which the falls emerge. The falls change colour, but often appear as a brilliant blue – a stark contrast against the dark hues of the volcanic rock. It’s the kind of thing that only happens in Iceland right? A waterfall bursting out of a volcanic lava field and surging down to the Hvítá river. Oh yeah, did I mention that it’s water flowing straight from the Langjökull glacier that’s already taken a fifty-year journey before it hits the falls. This country though. 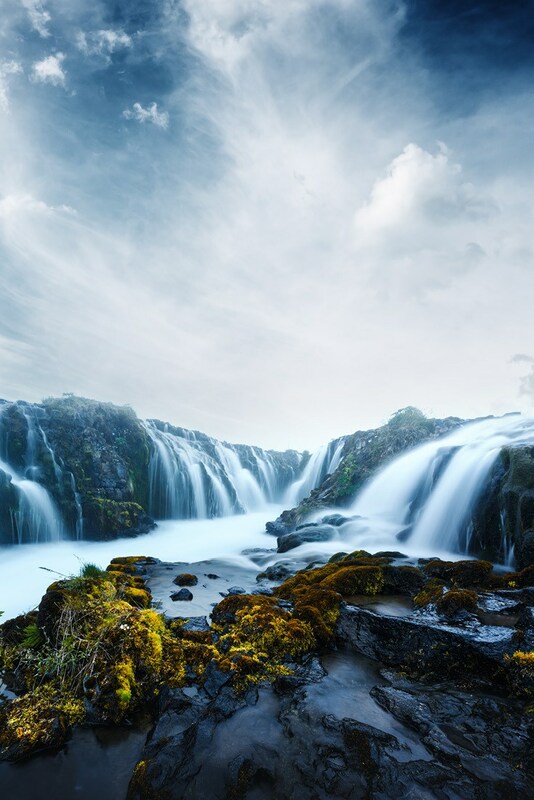 Beautiful and bizarre in near-equal measure, Aldeyjarfoss is one of the most amazing waterfalls in Iceland. Big talk right? 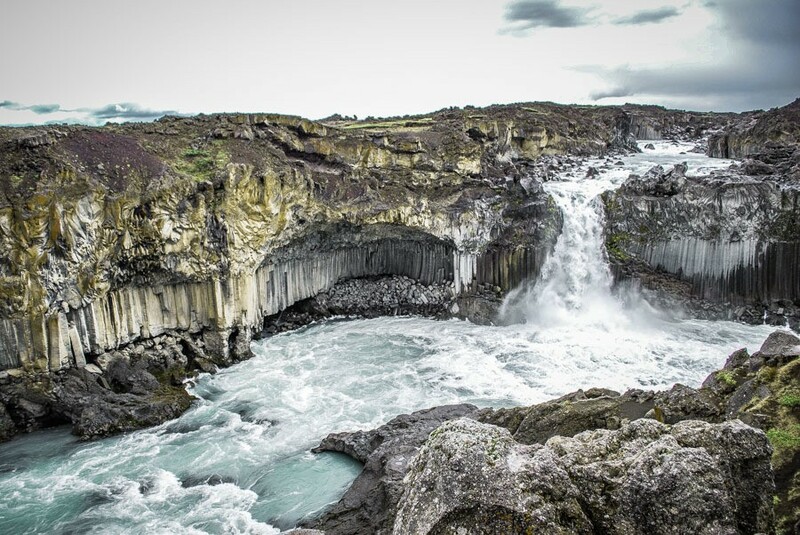 Aldeyjarfoss drops from a circular basin down a narrow channel to a wide gorge framed by hexagonal basalt columns. The bright blue glacial water is funnelled down through a gap in the dark stone – the resulting contrast is a photographer’s dream. You can access the falls from the east or west banks. The west bank tends to be quieter, and offers stellar viewing points. 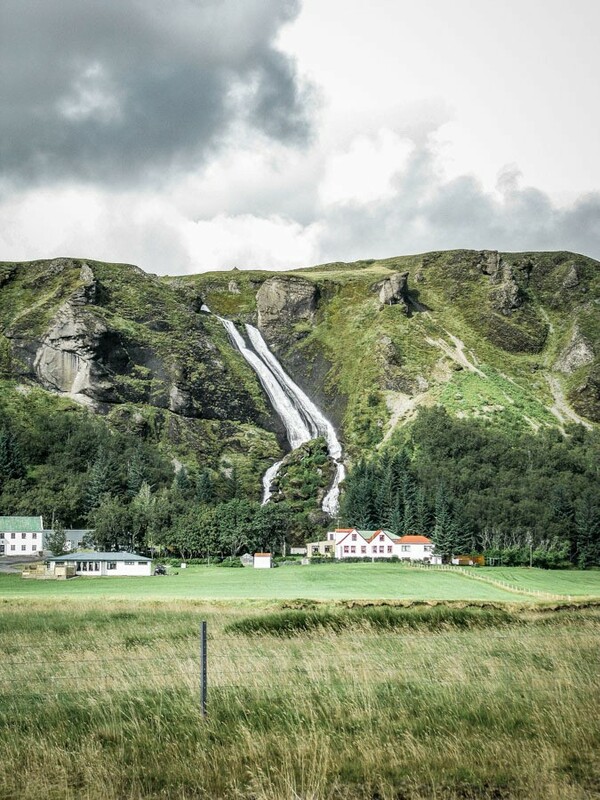 Perched jauntily on the edge of the Ring Road in the south, Skógafoss is one of the best Iceland waterfalls near Vik. Fed by the river Skóga, it’s a near perfect sheet of vertical water dropping 60m to a shallow basin. Skógafoss is easy to access. It’s a short walk from a large designated car park, but you can climb 500 steps to the top of the waterfall to give your legs a workout. The views from the top are well worth the effort. One of the great things about Iceland is that practically every road leads to something cool. We stumbled across this waterfall accidentally – I was so glad that I did. It’s not big, it’s not crazily impressive, but its picturesque and peaceful setting means it’s a nice stop if you’re on the Ring Road in the south. Wear sturdy and waterproof hiking boots, many of Iceland’s waterfalls require a hike to get to them and the paths can be slippery. 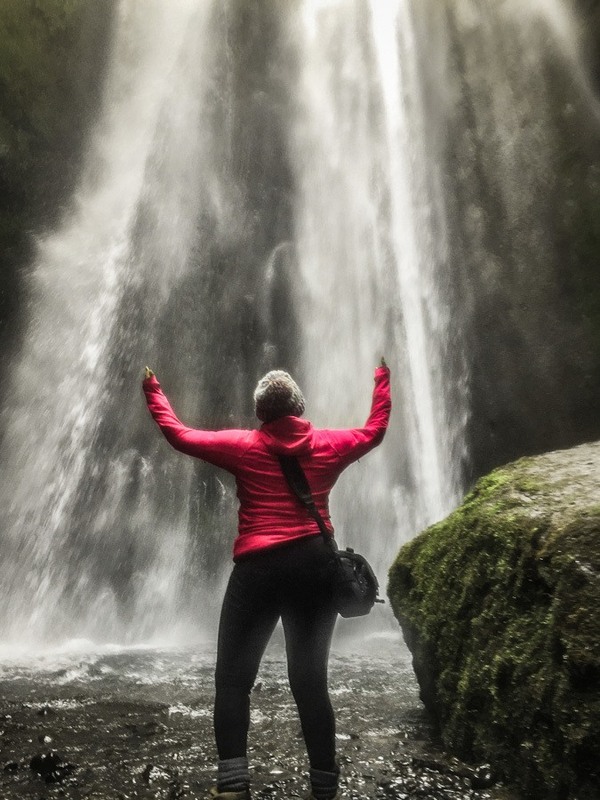 Wear a rain mac if you are planning on getting close to the waterfalls. It’s amazing how quickly you can get totally drenched from the seemingly innocuous mist. Check any advice or warnings about accessing the falls. Some of these waterfalls can only be accessed on roads that are not suitable for 2WD cars. Others can’t be accessed at all in the winter months. The best time to visit Iceland for waterfalls is late spring and early summer when the snows have melted and the falls are fullest. But most these waterfalls look pretty spectacular all year round. If you’re on a limited timescale, consider booking onto an Iceland South Coast and Waterfalls Tour. It’s the quickest way to see a number of waterfalls in one day. 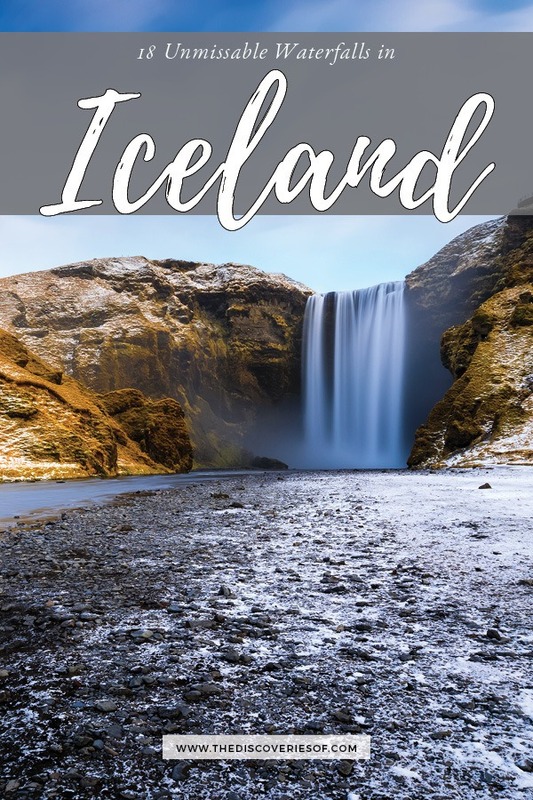 Lonely Planet’s Iceland Travel Guide is very useful if you are going to be travelling to a few different places in Iceland. 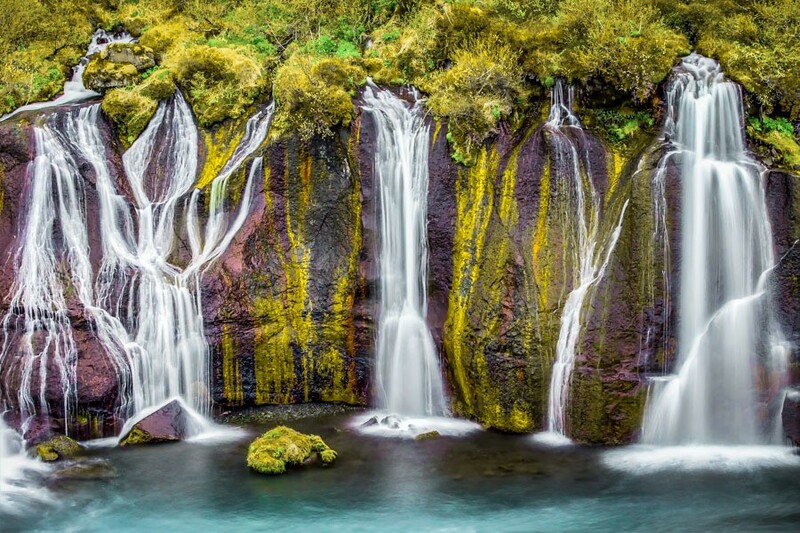 So, there we are – 18 must see Iceland waterfalls. I hope that you have a wonderful trip! Save for later and share this article on Pinterest. Or follow my Iceland travel board for lots more Icelandic travel inspiration.